Graefestrasse is definitely one of the coolest streets in Kreuzberg. In a south-westerly direction, from the Planufer, on Landwehrkanal, to one of the entrances of the Hasenheide park, the almost 1 Km length road is the address of a plethora of small shops, bars, cafés and restaurants. It also gives its name to the neighborhood Graefekiez, limited by the Kottbuser Damm, Hasenheide, the Urban hospital complex and Planufer. And it is absolutely worths a detour. Urbanstrasse divides Graefestrasse in two parts: in the southern section, between Hasenheide and Urbanstrasse, social housing predominates. In the northern section, most of the apartments buildings are beloved Altbau (Old Buildings), from the late 19th century, with high ceilings and wooden floors. Spared from the bombs of the Second World War, they make Graefestrasse today one of the most desired – and expensive – addresses in Berlin. Gentrification is a real issue here. Since the 2000’s, young and high-income families are following the 80’s alternative culture dwellers, which are fleeing the high housing costs. Nevertheless, we can still find some Turkish cafés, with their extremely bright neon lightning, and old-style Spätis. Attracted by the new hip businesses, young families and their baby strollers create a vibrant mix with the settled and traditional Turkish families. 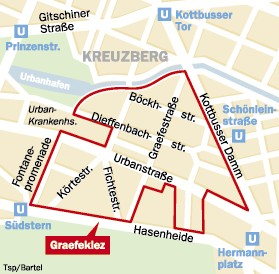 Don’t expect retail chains on Graefestrasse. The shops are small and most of them run by local designers, like House of Dotcity, with a selection of home accessories and gifts, focused on sustainable and fair-trade products. Another darling of a place is the atelier/boutique Dunkelblau Fastschwarz, gathering clothes collections from three Berliner labels and accessories of other local designers. On the exotic side, pay a visit to the Galerie Mamoo, a gallery and alpaca shop, whose items are designed and guided by a “luminous vision of ancient Indians”. 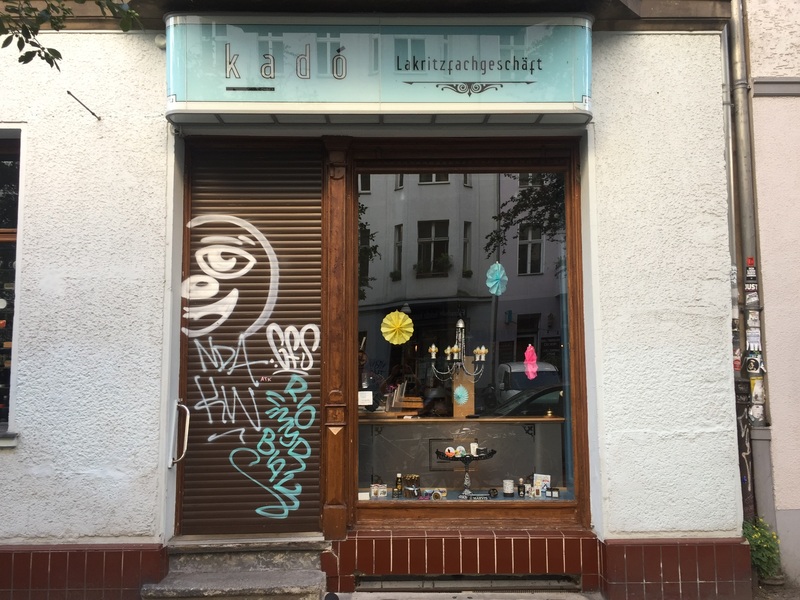 Also visit the Umbras Kuriositätenkabinett, a magical rare book shop, perfect for a rainy afternoon browsing through their (messy) bookshelves. 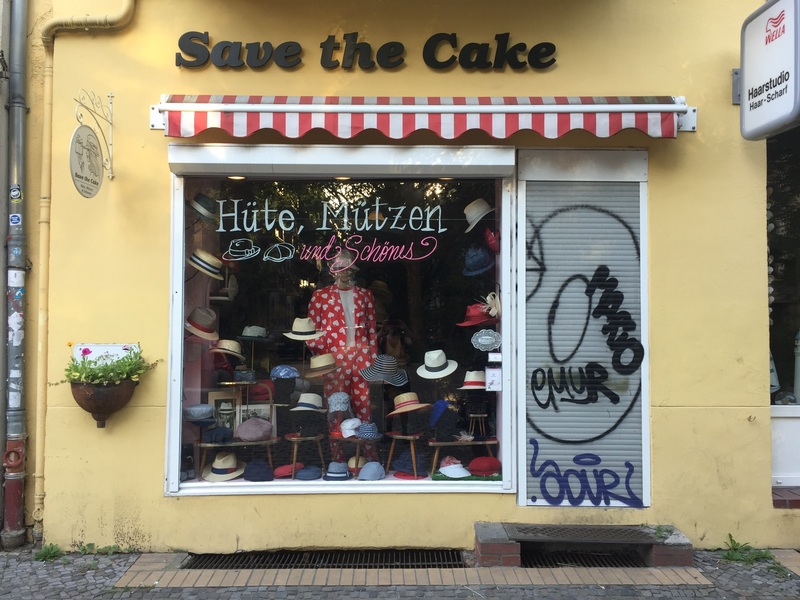 Graefstrasse can also provide you with current looks, from head to toe: Save the Cake is a hat and beanie shop, with hundreds of different items to enrich the headwear section of your closet and Selbrund offers infinite options to dress your lower limbs. Kids will get delighted at the Kindersachen aus 2.Hand, a second hand toys and clothes shop. Parents can find used clothes at Second Hand Moons and more upclycling items at Kék Ló. They even have a vegan café! Erd u. Feuer is a gallery and furniture shop, that designs and produces wooden movables. Don’t forget to check their website for the opening hours. And for the liquorice lovers, Kadó has it in all forms and flavor combinations one can imagine! A charming trip to sweeter times. Wether for brunch, dinner, ice cream or simply coffee, you will always find an option to satisfy your taste buds on Graefestrasse. First, coffee! Kaffeebar serves not only decent coffee, but has delicious cakes, including some vegan and gluten free options. It is also a good pick for breakfast, with their french toasts and eggs Benedict. Plus, their outdoor benches are perfect for people watching in the summer. Tip: Their backroom/chill area is one of the prettiest in town. 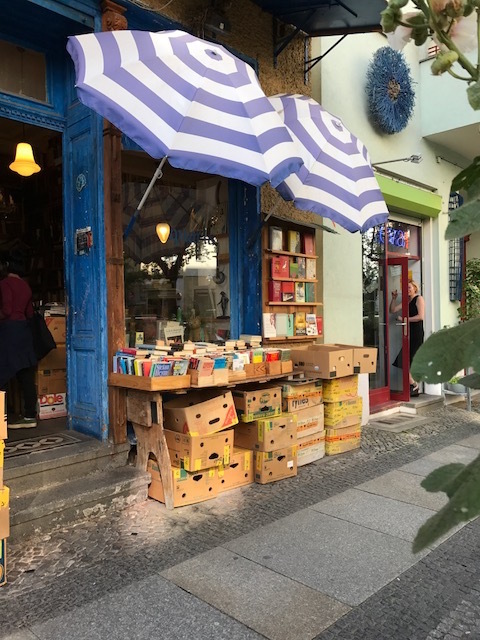 More coffee and homemade cakes can be found at Frida Café, that uses beans roasted by the Berlin favorite Five Elephant, and at dobedo, a coffeeshop that also carries clothes, art objects and – of course – cakes! For an afternoon snack or a Portuguese pastry, Melro serves a great café galão and pastel de nata combo. Ice cream cravings? Or, more specifically, an Italian gelato sudden need? Anna Durkes has traditional and creative flavors. 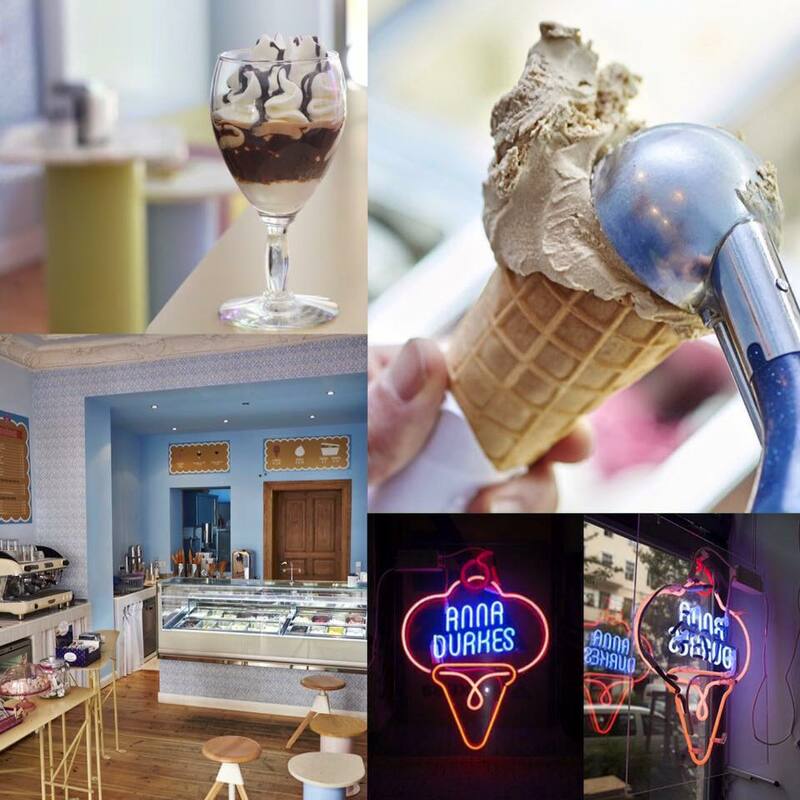 Anna is often featured in Berlin’s best ice cream lists! The Berliner ice cream maker Eis Manufaktur runs an ice cream parlor, open only on the warmer season, and Lato Dolce is an Italian pastry shop, that serves cannoli and meringues as well as cute and delicious ice petit fours. For a hangover healing, Big Sur serves delicious, greasy and solid burgers. 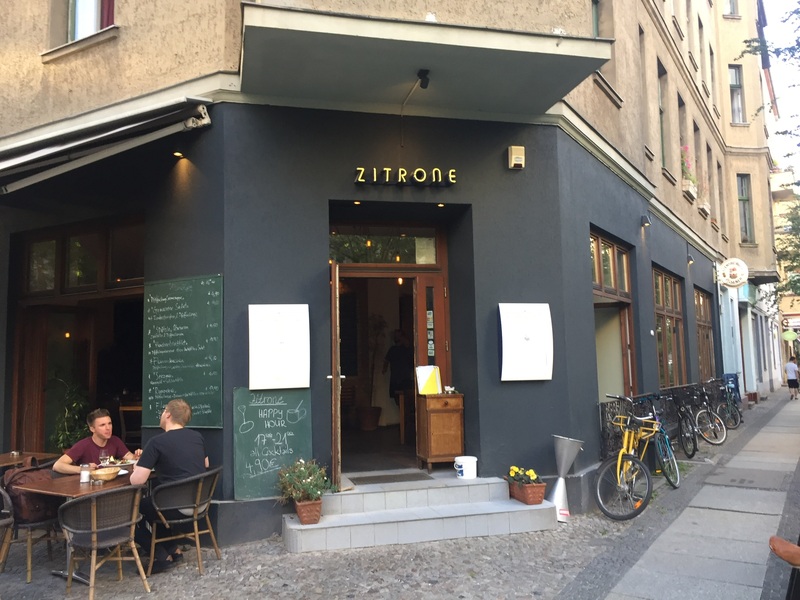 The terrace of Zitrone is perfect for enjoying a Sunday brunch or an international breakfast, including British and Norwegian options. Just around the corner, Datscha also has a very pleasant terrace, excellent for trying some of its Russian dishes. Grünfisch prepares exquisite Italian dishes, spiced up with Asian touches and accompanied by a great selection of Sicilian wine. And for a quick meal, Pizza Pasta Bar Friends is another option. 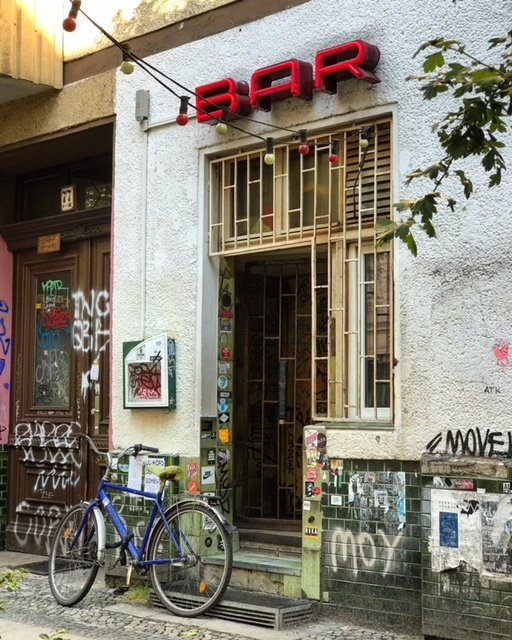 On the corner of Planufer, Fuchsbau is one of the coolest places to have a drink around Graefestrasse. During the summer, its lovely beer garden and terrace are open until 22h and, during the cold season, the wooden interiors makes it a cozy “Kneipe” for a hang out time with friends. For the non claustrophobics, Mini Bar is a very tiny bar, easily identified by its red neon sign. The drinks are vigorous and the music is as mixed as its crowd is! Just next to it, Room 77 is a “Californian style” bar, with “warm beer, cold women and fast food made slow”, as they advertise. The Bar Marqués is somewhat of a “local secret”. Walk into a generic Italian/Spanish tapas restaurant (do not eat here) and walk downstairs to the basement. The Bar Marqués is one of the best cocktail bars around this part of town. 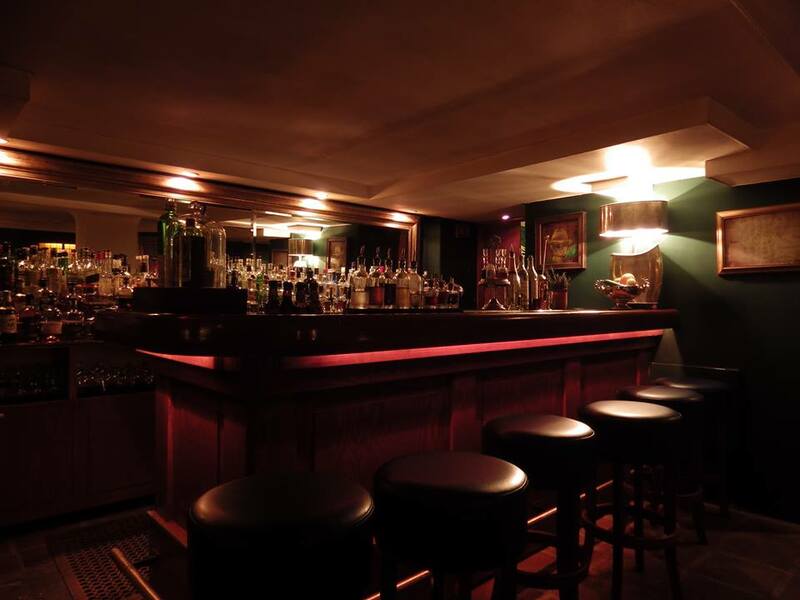 It does get smokey, so if that bothers you, check out our non smoking bar recommendations! And finally, if the Graefestrasse vibes make you wanna live there, you can book a stay at the Lekkerurlaub hostel and pretend you are a local! *This article was written by Domingos Lepores.